Phage display is an analytical technique used to study protein-protein interactions and the relationship between a protein and the encoding DNA. Phage display begins by incorporating the protein of interest into the external surface of the bacteriophage. This is done by splicing the segment of normal DNA that encodes for the protein into the DNA sequence of the bacteriophage which encodes for the phage coat proteins. When the bacteriophage infects a bacterium, it undergoes a process of replication, using cellular machinery provided by the host bacterial cell. The protein of interest should be produced during this process, and thus, any further progeny will produce this protein upon bacterial infection. Certain bacteriophages are commonly used for phage display, including M13, lambda, and T7. All three infect the E. coli, a widely studied prokaryotic model organism that can be easily grown in lab conditions. This enables easy proliferation and study of these different bacteriophages. Large phage display “libraries” have been created, which consist of a massively varying mixture of bacteriophages that display different foreign proteins by altering the viral DNA sequence. These libraries can be used to screen for proteins that bind to certain receptors. One technique commonly used in protein purification is affinity chromatography. This technique can be used in coordination with phage display by fixing specific receptors of interest onto a column and running a phage library through this column. The bacteriophage with a surface protein which has affinity for these receptors is retained and can then be purified and grown in a culture of E. coli cells. This screening technique can be used to determine the function of an unknown protein by identifying the proteins it interacts with. The proteins that bind to the receptors can act as potential stimulators or inhibitors of the pathways which the receptor normally regulates. Most diseases can be related to various metabolic pathways in the body that have proteins associated with them. The purification of the proteins from the phage display library can develop potential new drugs. The active site of a protein can be mutated in various ways, and the protein can be screened using phage display affinity selection. This allows the measurement of the strength of the substrate binding in the context of the mutation. The amino acid sequences that are involved in the binding can then obtained by looking at the viral DNA in the specific bacteriophage. By modifying the active site and improving the binding to an inhibitor, can increase the effectiveness of inhibitor and further drug design. New vaccines have become available due to phage display techniques. Using affinity selection and specific antibodies as the receptor, antigens that mimic the antigens of certain pathogens can be purified. 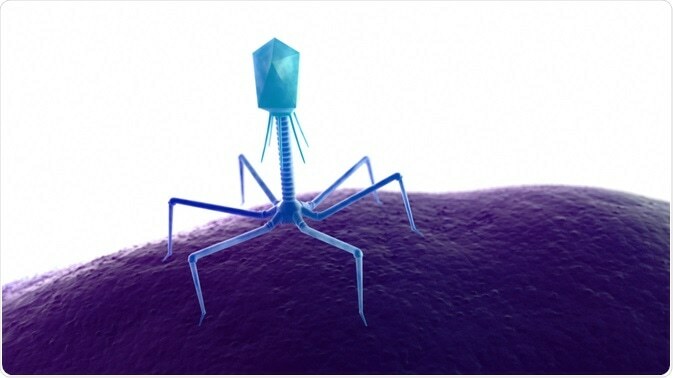 The introduction of the phages with these antigens on display into the body can potentially act as a vaccine without introducing the pathogen into the body. There are also potential uses for phage display in disease diagnosis. Using antibodies of a patient to affinity select for binding antigens, disease-specific antigens can be discovered that can show the presence of a disease.